Research shows that omega-3 fatty acids, a type of polyunsaturated fat are found in fish and flax seeds. Flax meal can be mixed into baked good recipes. Linseed oil is produced from flax seed. 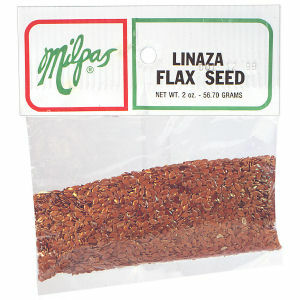 Flax seed can be sprinkled in salads.. You can grind the seeds and use them for teas.